First Place: “Incorporation of Ethics and Societal Impact Issues into First Year Engineering Courses: Results of a National Survey” by Angela R Bielefeldt, Madeline Polmear, Daniel Knight, Nathan E Canney, and Chris Swan. 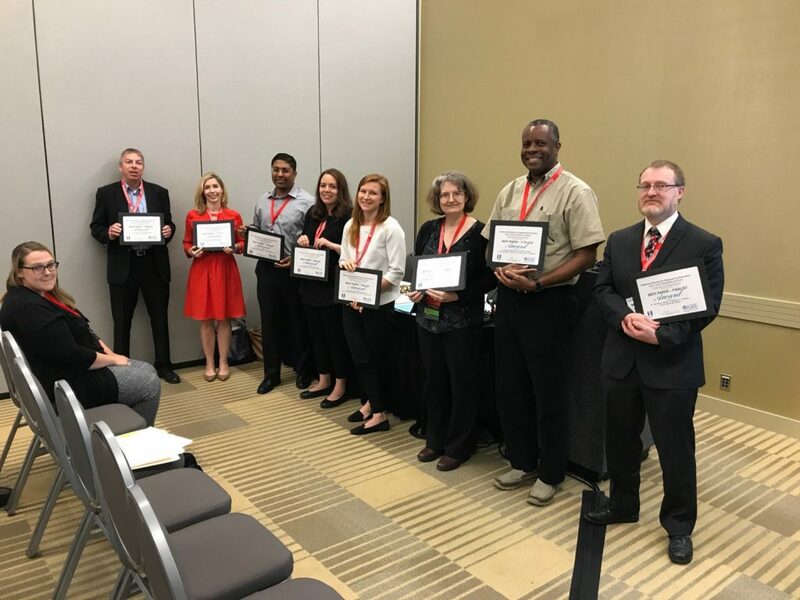 Second Place: “Integrating Theory and Hands-On Practice Using Underwater Robotics in a Multidisciplinary Introductory Engineering Course” by Nancy K Lape, Lori Bassman, Christopher Clark, Albert Dato, Angela Lee, Matthew Spencer, Erik Spjut, and Laura Palucki Blake. “Are Students Overworked? – Understanding the Workload Experience and Realities of First-year Engineering” by Darlee Gerrard, Kirstin Newfield, Narges Balouchestani Asli, and Chirag Variawa. “Creating a Psychological Profile of Successful First-Year Engineering Students” by Danielle D Gagne, Bethany C. Johnson, and Steven M. Pilgrim. “Development and Application of a Questionnaire to Measure Student Attitudes Toward and Understanding of Engineering” by Jan DeWaters, John C. Moosbrugger, and Pankaj Sharma. “Integrating Theory and Hands-On Practice Using Underwater Robotics in a Multidisciplinary Introductory Engineering Course” by Nancy K. Lape, Lori Bassman, Christopher Clark, Albert Dato, Angela Lee, Matthew Spencer, Erik Spjut, and Laura Palucki Blake. Presented by Nancy Lape. “Classroom Belonging and Student Performance in the Introductory Engineering Classroom” by Mark Schar, Sophia Lerner Pink, Kayla Powers, Adrian Piedra, Shivani Alexandra Torres, Kai Jun Chew, and Sheri Sheppard. Presented by Sophia Pink. 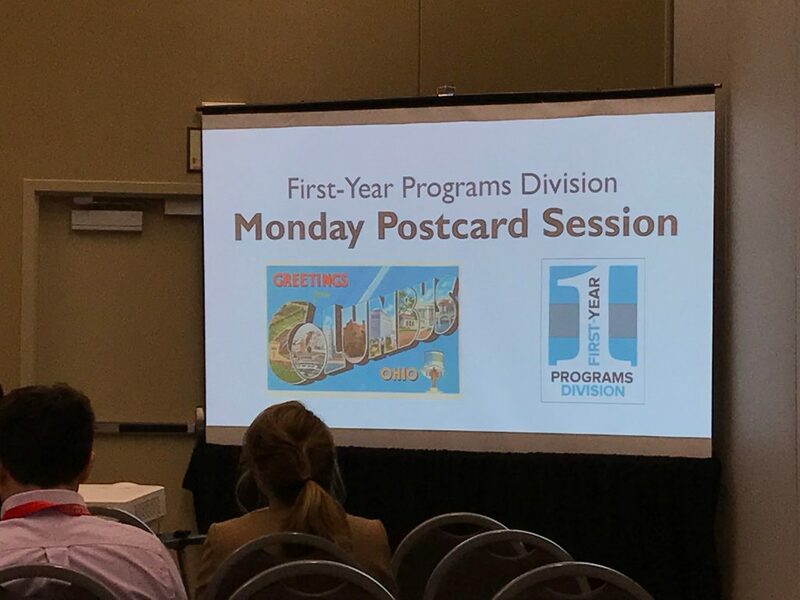 Over 200 academic and industry representatives are expected at this meeting to discuss and share relevant topics on the first-year engineering experience. 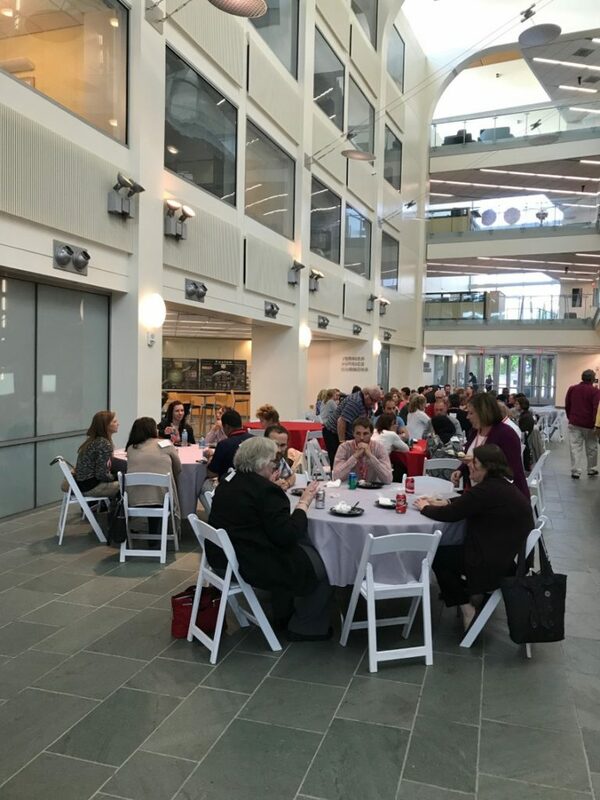 Participants include college deans, department chairs, student service professionals, advisors, faculty in engineering and engineering technology, K-12 teachers, and industry leaders from across the country. Participants of FYEE come together to share and expand their knowledge and discuss a wide range of topics related to the first-year engineering experience. Please consider attending and participating in this conference. Kicking off the conference will be a keynote address from Kenneth Reid, Assistant Department Head for Undergraduate Programs and Associate Professor, Engineering Education, Virginia Tech. Before joining the faculty at Virginia Tech, Ken was the founding director of the B.S. in Engineering Education program at Ohio Northern University. He was also responsible for developing a classification scheme for “Introduction to Engineering Courses”, the author of multiple textbooks, and the recipient of a 2013 IEEE-USA Professional Achievement Award. Note: Registration is handled through ASEE website. You don’t have to be an ASEE member to register for FYEE. Submissions for the next issue of FPD Notes can be sent to John Estell at: j-estell@onu.edu – please use the subject line “FPD Notes Submission”.